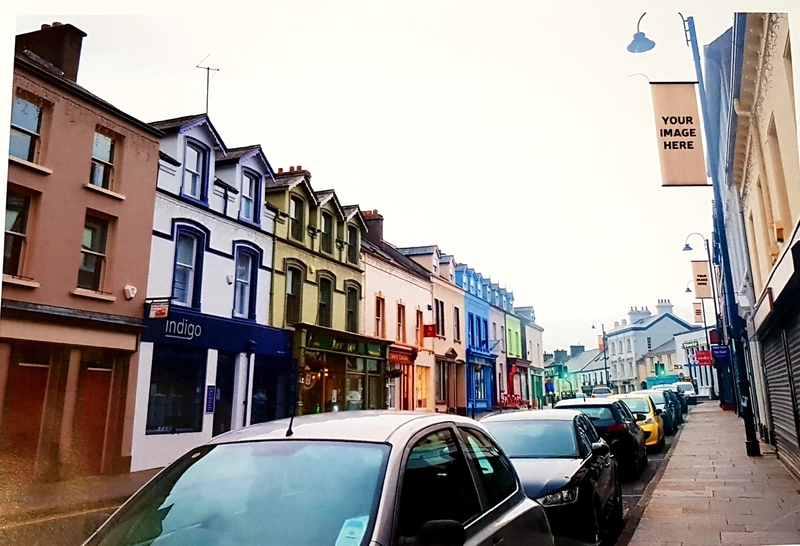 Causeway Coast and Glens Borough Council is now inviting entries for a new competition giving members of the local community an opportunity to create a design for a new lamppost banner scheme to be installed in Ballycastle. The winning designs will be put in place from April to August and will help to enhance the town’s unique character. The artist must create and own the artwork they submit. Drawing, painting and photography is permitted. The lamppost banners will be vertical and therefore your artwork must be vertically orientated (portrait style) with the length / height being approximately twice that of the width. Competition is open to everybody. There are no age restrictions. The artwork should showcase the pride the artist feels for Ballycastle. Today, the town has an amazing range of high quality and award-winning independent shops, plus great pubs, restaurants and cafés, a vibrant traditional music scene and is home to a variety of sports and leisure activities. It also has a very interesting history dating back hundreds of years from the first Lammas Fair and the old Clann heritage of the McQuillan’s and McDonnell’s to the industrial development led by Hugh Boyd. Ballycastle has also hosted some important historical figures including the humanitarian activists Dr O’Connor and Roger Casement, and of course the pioneering experiments by Marconi. And not forgetting the mythology of the Children of Lir, Princess Taisie and Deirdre of the Sorrows. Artwork, including the name and contact details of the entrant, must be submitted in a sealed envelope marked ‘Banner Competition’ to Causeway Coast and Glens Borough Council (Sheskburn House, Ballycastle) no later than 12 noon on Friday 22nd February 2019. The main prize will be the privilege of having your artwork on public display in Ballycastle. The printed banner will include text that acknowledges the artist. Causeway Coast and Glens Borough Council will also provide each winning artist with a £50 ‘Shop Local’ voucher, which can be used in a wide range of shops throughout the Causeway Coast and Glens Borough.